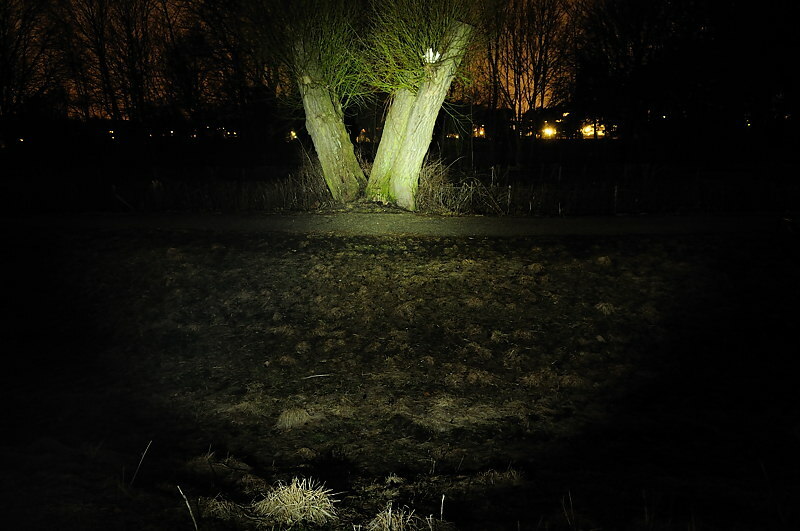 OLight is manufacturing many different flashlight and does also work together with other flashlight manufacturers (4Sevens and ITP). 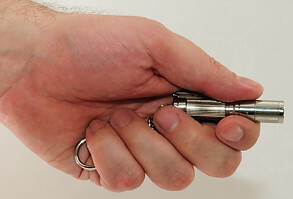 The OLight mini is the ITP EOS A3 light that OLight makes a special Xmas version of. The light is a 3 level AAA light with a twist on/off interface, it always starts at low and has a low-medium-high sequence. 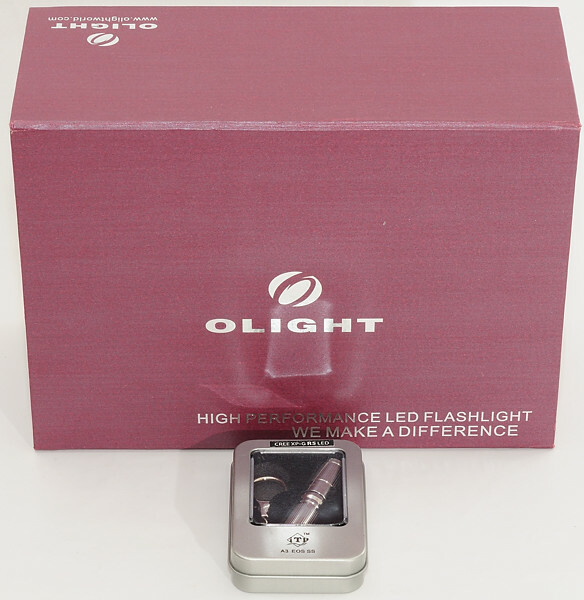 The Olight version of the light is in titanium, ITP makes the light in aluminium, stainless steel and titanium versions. 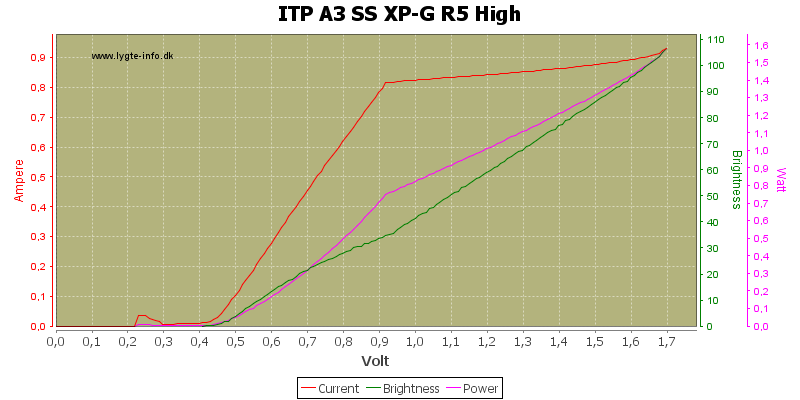 In this review I will focus on the Olight version, but supplement with measurements from the ITP stainless steel R5 version. 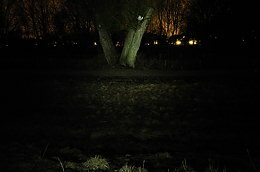 The ITP version of this light exist both in a single level and a 3 level version (called upgraded). 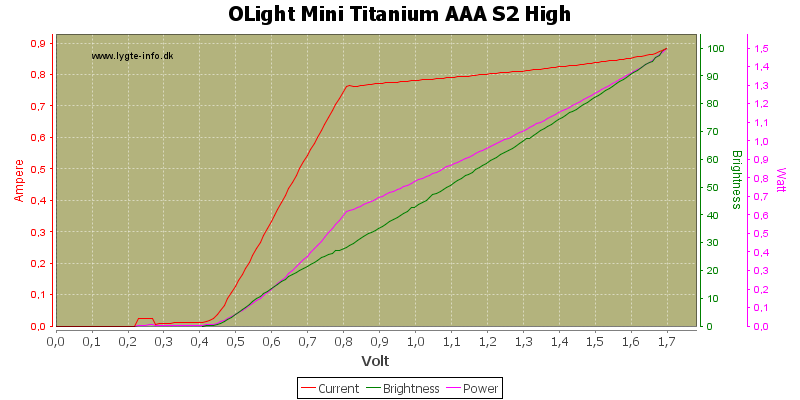 The light has been on the market for some time and exists with two different programs in the microprocessor, the first generation had a low frequency pwm and started with medium brightness, the current version has a high frequency pwm and starts at low. The Olight version is part of a large Xmas set. The ITP version is delivered in a small metal box with a window. 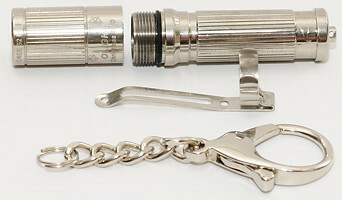 In both cases the actual contents related to the AAA light is the same: the light with a keychain and claw, two spare o-rings and a manual. The head has some groves, but they are rather smooth and doe not improve the grip much. 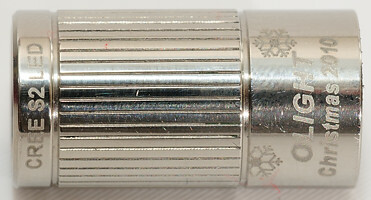 The backside of the head is the classical design with a ring and a center, this is the same design all the ITP A3 lights has used. 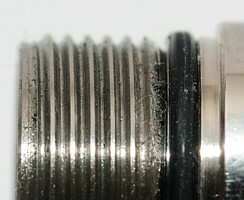 The body has well working threads and a o-ring, the battery tube has the usual spring at the bottom. 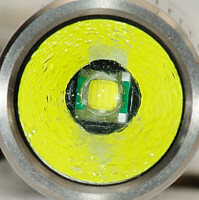 The light has a removable clip, but removing it will scratch the titanium. The light cannot tail stand, because it has a small post where the keychain is mounted. The keychain and claw has been improved since the first generation of A3 lights. 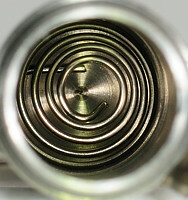 The light with both clip and keychain removed. The light is a old design that has proved it works, but with frequent updates of the led the light does keep up with other AAA lights. 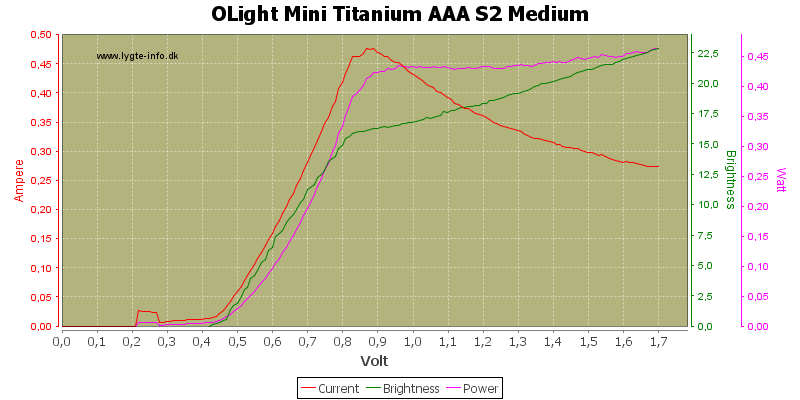 The ITP aluminium version is not very expensive, making this a good buy for a AAA light. Steel cost more and the Olight titanium version is rather expensive, especially because it is part of a special edition set. 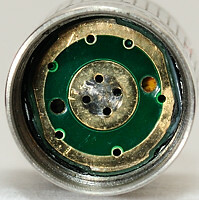 This light is designed for 1.5 volt AAA batteries (Alkaline, NiMH, Lithium). The manual also specify that 10420 batteries (LiIon) can be used, but are not recommended, this does not match the specified maximum voltage of 3 volt (LiIon are more like 4 volt). Weight: 35.7 gram (Titanium), 43.7 gram (Steel) both measured with keychain, claw and eneloop battery. The Olight mini uses a Cree XP-G S2 led. 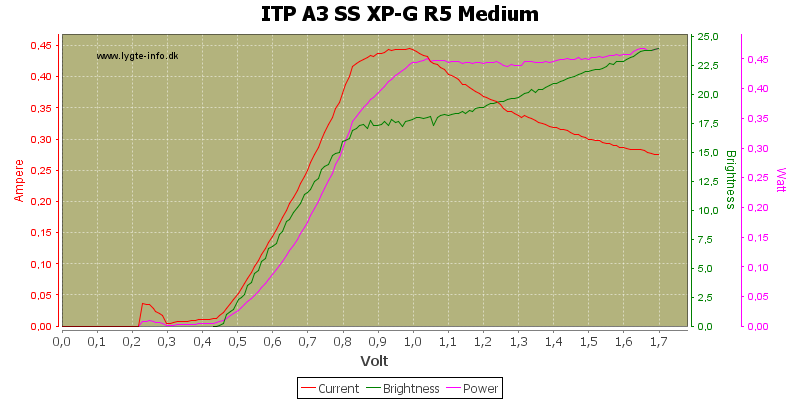 The ITP EOS A3 upgrade stainless steel uses a Cree XP-G R5 led, but this light also exist with other leds. 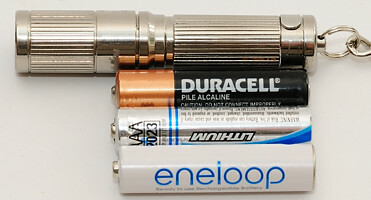 In the above table I have used 800mAh eneloop batteries for measuring and estimating the runtime. The estimated lumen are based on the specified 80 and 95 lumen and then scaled according to measured brightness. The specified difference in lumen is to high, I measured only about 7% difference between the two light, that is about the difference between R5 and S2 led. The medium and low levels for ITP also has a wrong lumen and runtime specification. Note: The above tables are based on values at 1.2 volt. 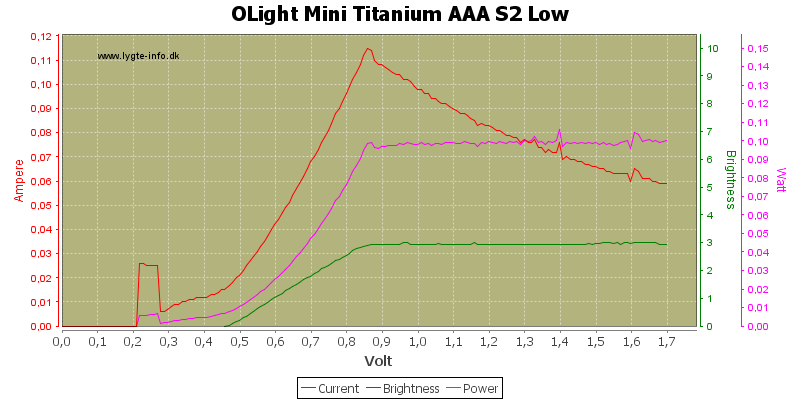 The light does not stabilize brightness, instead the brightness is directly proportional to the battery voltage. This keeps a more moderate current draw on the batteries and with alkaline avoids the fast brightness drop when the battery is empty. When the low brightness is selected the light is stabilized. On the runtime curve the lack of stabilization is obvious on high, but not very visible on medium. These small AAA lights do not work well on high with alkaline. The light uses pwm for regulation of brightness, the frequency is about 2.4 kHz, i.e. 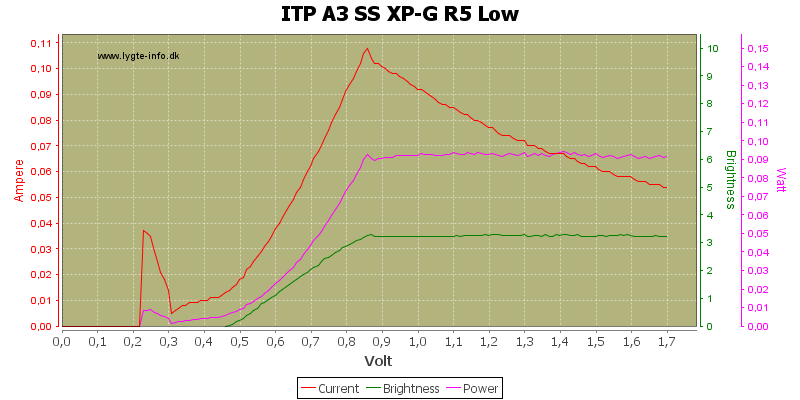 not visible (The first generation ITP used a much lower frequency). 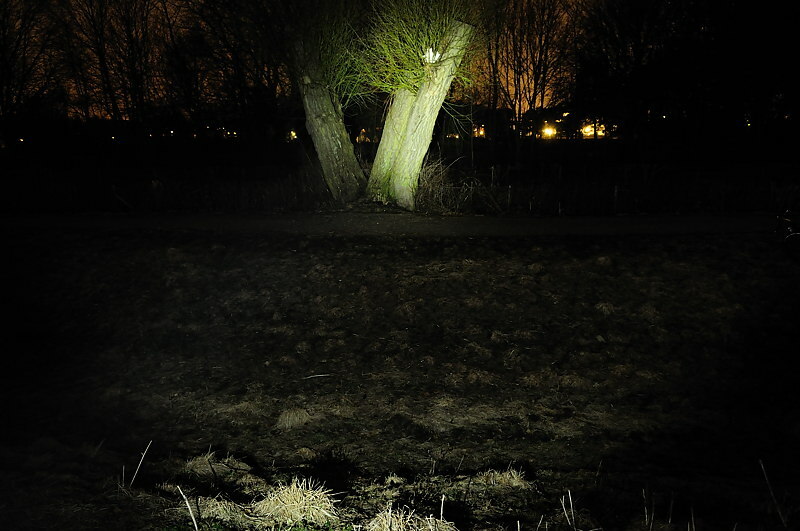 The above scope trace is from medium brightness on Olight. The low pwm is only a spike.